Simply Chic and the Unmatched Folding Chairs Wedding! 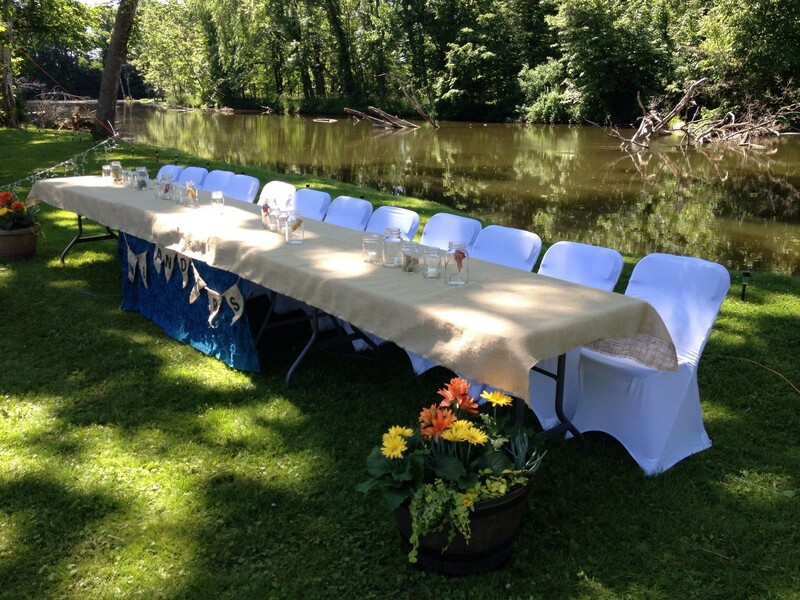 Simply Chic traveled out to Middleville, Michigan for a wedding this summer in a picturesque backyard setting! The bride and groom rented a variety of folding chairs (that did not match) for their ceremony and reception. Our white chair covers helped bring everything together for this couple! The unmatched chairs transformed into elegant white chairs, and the bright white color helped the other decorations really pop against the bright green background of the trees. This small added touch gave her wedding a more elegant feel, and at only $1.50 per cover, she was able to stay under budget! Contact us today to find out how we can help transform your reception into a beautiful, memorable space!